With devoutness and joy, our student commenced their academic year with The Blessing of The Waters. 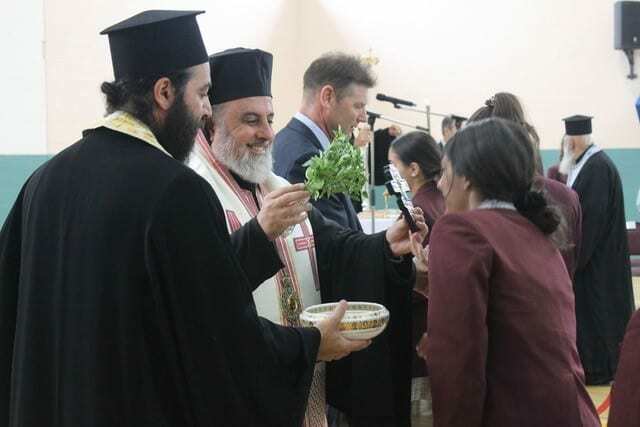 The service was presided by His Grace Bishop Iakovos of Miletoupolis and assisted by our School Chaplain, Father George Adamakis and Father John Demertzidis and parent of our School Father Jean Mawal. 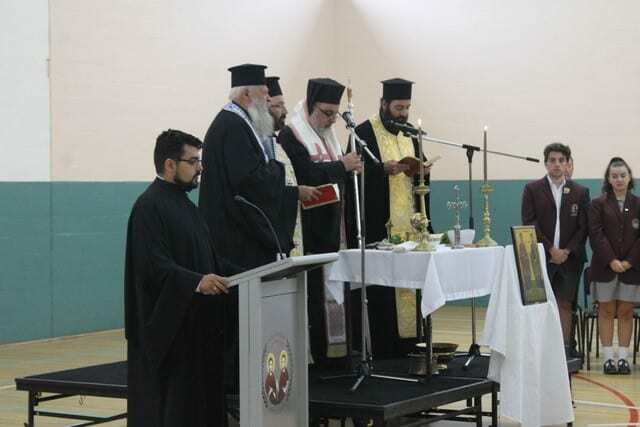 At the conclusion of the service, His Grace greeted the students and conveyed the love and prayers of His Eminence Archbishop Stylianos and His Grace Bishop Ezekiel. 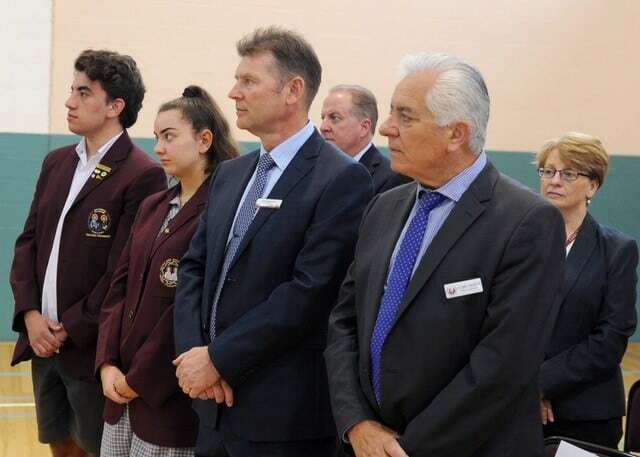 Reminding our students and staff of the importance of God in our lives quoting the Ancient Greek saying Ἁπὀ Θεού δέι ἀρκσεσθαι – Begin all things from God, with God. 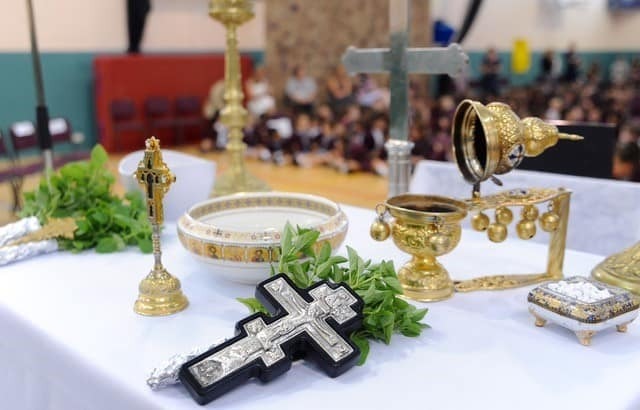 His Grace highlighted the importance of formation in not only academic pursuits but also spiritually.